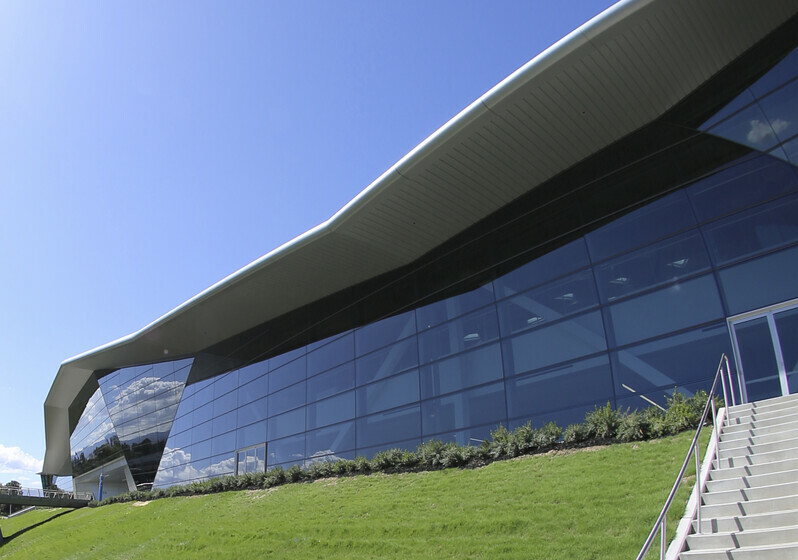 For the NVIDIA Corporate Headquarters, employee comfort and productivity are the most important drivers. Atelier Ten analyzed the building’s visual and thermal comfort to create a healthy, comfortable, energizing workplace to support employee creativity and innovation. 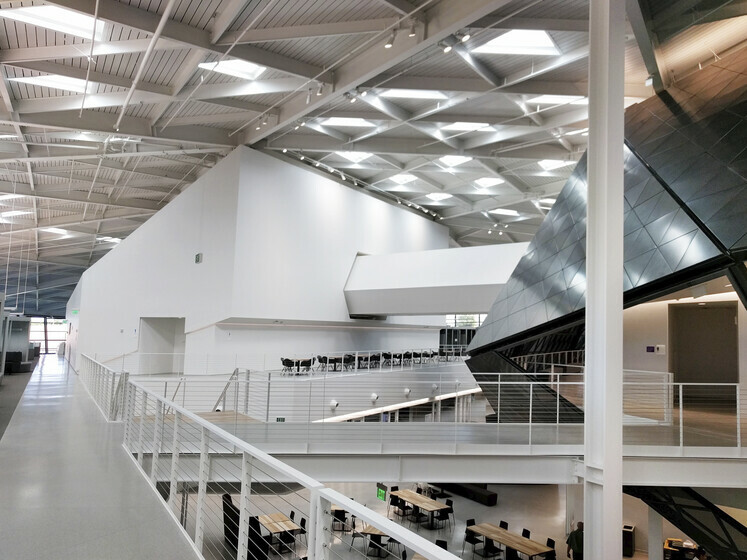 NVIDIA’s workplace must support collaboration and spontaneous interaction, so the building is designed as a large floor plate on just two levels. 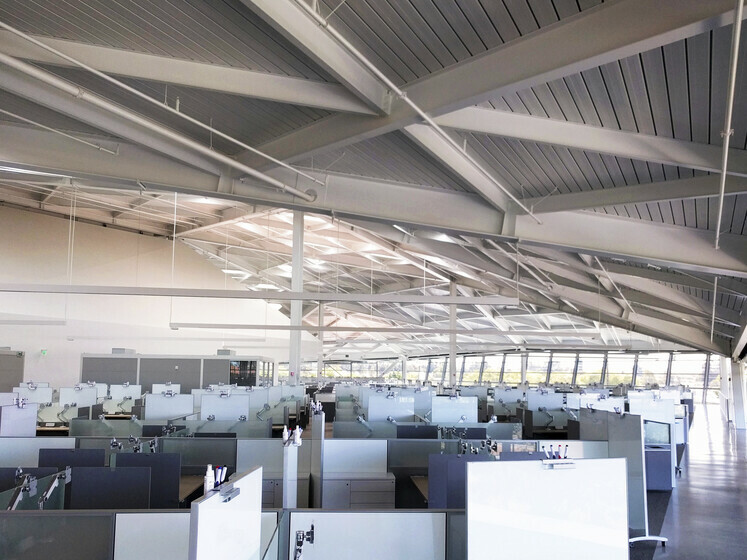 Atelier Ten analyzed daylight from the facade and skylights, solar gains, visual comfort, and thermal comfort to create a optimized roof and facade that will reduce energy use and support employee comfort. The space planning is zoned based in part on thermal comfort, so that spaces with wider temperature swings (due to proximity to the glass façade and solar orientation) are flexible meeting areas, and spaces with fixed desks have more stable conditions. Water conservation is another key project goal. Atelier Ten led the concept development for the water conservation and reuse system, which uses district “purple pipe” to supply non-potable water for irrigation, cooling towers, and flushing. This system will reduce potable water use and reduce potable water use for sewage conveyance. 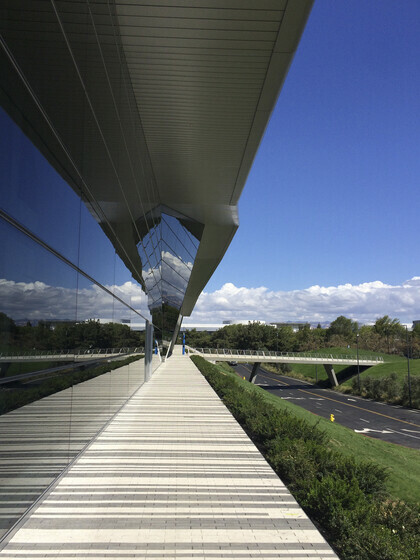 In addition, Atelier Ten managed the project’s LEED certification process, the energy analysis, and wrote the Measurement & Verification plan.